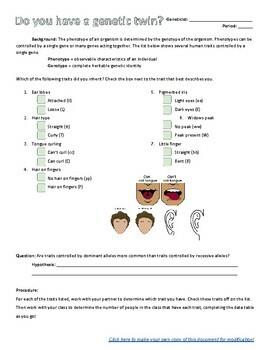 Genetics Lab- Do You Have a Genetic Twin? It also addresses the NGSS Crosscutting Concept of Patterns and the Science and Engineering Practice of Analyzing and Interpreting Data. 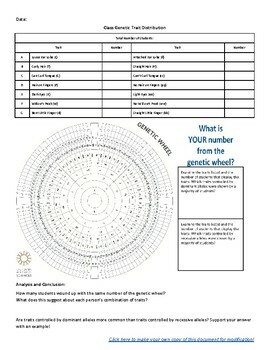 Developed using resources from the California Academy of Sciences, this is a great lab to launch into a genetics unit. The download also includes a link to make your own copy of the lab in the form of a Google Doc, which is handy when posting to Google Classroom or modifying the lab to fit your particular teaching context. I hope you find this resource valuable!